Congress President Rahul Gandhi on Monday attacked Prime Minister Narendra Modi over his government's promise of doubling farmers' incomes. 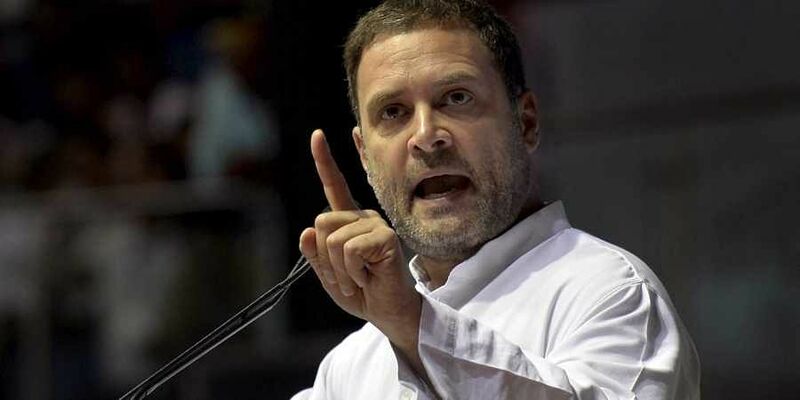 NEW DELHI: Congress President Rahul Gandhi on Monday attacked Prime Minister Narendra Modi over his government's promise of doubling farmers' incomes, citing a report where a Chhattisgarh sarpanch claims that officials from Delhi taught a woman farmer to tell Modi she now earns twice as much. "Everyone knows PM tells his 'Mann ki Baat'. Today it is coming out that he also wants to listen to his 'Mann ki Baat' (from others)," he said in a tweet, referring to Modi's interaction with farmers through video bridge last month as also his monthly radio programme. Attaching a video of a news report that quoted the sarpanch from the state's Kanharpuri as saying that Chandramani, the woman farmer, had been tutored by team from the Agriculture Department from New Delhi, Gandhi also said that Chandramani's claim of "higher income from agriculture" during her interaction with Modi through video bridge did not seem true. Modi had interacted with farmers from different parts of the country on June 20. The woman is seen in the news report as saying that she had been asked if she will be able to interact with the Prime Minister.